In Matthew 9:29, Jesus says: “…according to your faith be it unto you”. Your faith should produce! Every example in the Bible of people using their faith, it produced results. Just look at the lives of Abraham, Noah, Joshua, Caleb, David, Daniel, Paul and of course our very textbook of living faith…Jesus. God expects us to use our faith not just for “things” but to live by faith on a daily basis. 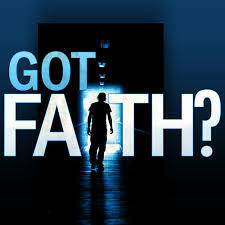 The Bible teaches that: “The just shall live by faith” (Hab. 2:4; Rom. 1:17; Gal. 3:11; and Heb. 10:38). Far too often, when someone is teaching faith, it is only in the context of using faith for ‘things’ that’s for our consumption. Now do not get me wrong, the Bible is clear that God is concerned about the things we need in our lives to live and enjoy, but not just the tangible, physical things that become possessions. He desires that we possess “…all things that pertain unto life and godliness…” (2 Peter 1:3). It must be noted here that He has provided these things but they must be obtained through faith. Even the new birth cannot be experienced except it be received through faith. Every good thing we receive as a result of receiving Jesus into our hearts is a direct result of the faith we place in Him and His Word. And it is that faith through which we must live on a daily basis. To “live” is to: continue to have life; remain alive; or to be capable of vital functions. My question to you is this: How many of your life’s circumstances are continuing to have life or remaining alive because of your faith? How many can you point to and say: I placed my trust in God’s Word concerning this and saw it live or turn around? Just because it’s living does not mean it is because of your faith. Sometimes, it is the faith of someone else that holds us…even if we don’t know it. And of course, God’s Grace covers where we falter. In each of our lives there are vital functions that are necessary for us to live and we cannot leave it to chance. We must make the daily effort to see these areas thrive through our faith. Whether it is daily provisions, finances, health or relationships; we must exercise our faith in God’s Word where these things are concerned with undeniable, unwavering faith that God is able to back up His Word…but He is not going to do it for us. Therefore, we should make it our business to learn about faith, how it works and seek to ‘live by’ faith every day of our lives. In other words, we must build up our faith muscles. Not only do our lives depend upon it but also, the lives of our families as well. Let’s continue this discussion and grow in faith together. ‹ Do You Value Your Spouse? Dear Brother Sebastian, if this post is the hammer I pray there will be lots of nails for it to hit on the head (in a nice way, I hope this doesn’t sound violent, just playing with the metaphor we use!). Faith is, if one can say it, a verb, not a noun. Faith buried in the ground does not have value. “I will show my faith by my works” as James so powerfully exclaims. Satan has deceived so many Christians into living faith as a spectator sport in the comfort of their “living” room. Jesus went out and worked, by faith. The stuff of this world shows God’s grace and are not for our comfort. The Comforter is for our comfort – and benefit. The theme of this post is one that drives my soul forward, but somehow the way it is put together has the touch of our Saviour upon it, and I thank God for you in this. Thank you for your kindness and your response to this post. As always, I appreciate the thoughtfulness and depth you bring when you comment. All I can add is AMEN!! Blessings! Thank you my dear Sister! Blessings!